Phool Aur Kaante is a movie directed by Sandesh Kohli	featuring Ajay Devgn, Madhoo. The Shivaay actor turns 48 today (2 April). We take a look how the action star emerged as one of Hindi cinema’s sensitive but intense actors, ready to tackle any role or genre. 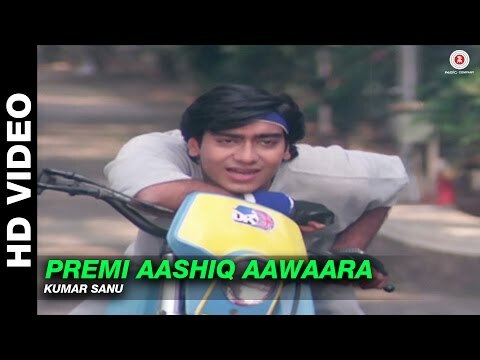 Yes, it's been a quarter century since Ajay Devgn made his debut in a lead role on the big screen! Cinestaan.com takes a look at his journey as an action actor – from Phool Aur Kaante (1991) to Shivaay (2016). Two decades ago, Kuku Kohli launched a lanky youngster named Ajay Devgn with his take on the Coppola classic. The superhit established Ajay Devgn as the face of a new generation of action stars, but there was a lot more to the film. Here's why you should revisit it.